Getting Edinburgh’s festival season off to a swinging start, the Jazz & Blues Festival, The biggest of its kind in Britain, is sure to delight all those in attendance. This ever-growing festival has everything from big band favourites to skiffle, ragtime and freeform jazz on the menu at over 1000 shows that’ll make even the fringe blush. With the heat of summer, why not stay cool at Dynamic Earth. Their Polar Extremes exhibit is full of polar-themed activities for the whole family to enjoy. Uncover a world of incredible experiences in some of the most extreme environments on Earth. 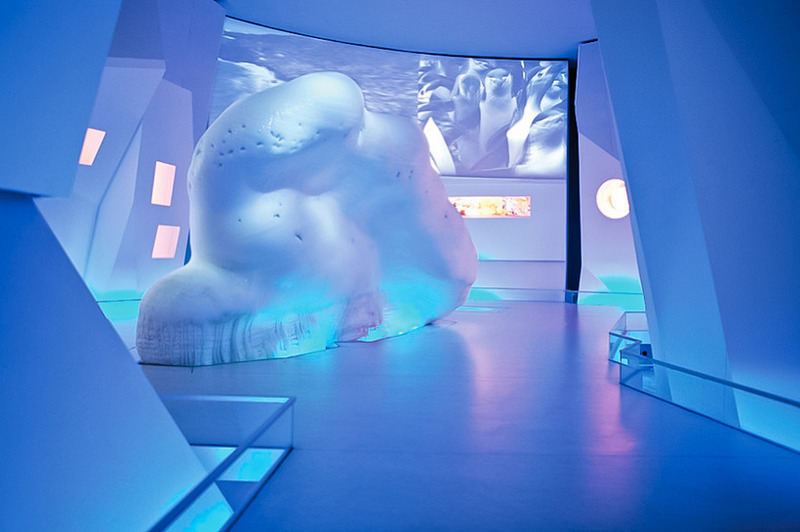 Tour the amazing galleries, get your hands on a real iceberg and much more as part of your dynamic exploration of the coldest places on earth. Welcoming over 250,000 people last year, Edinburgh Food Festival returns for it’s third year celebrating the finest of Scotland’s food and drink. The festival takes place in George Square Gardens, where artisan producers and stallholders will fill the festival grounds while foodie talks, debates and demos will put the cherry on the top. It completely free to enter, you pay for food and events separately. Edinburgh Art Festival was founded in 2004 and it has quickly become the UK’s largest annual festival of visual art. Its aim is to bring together Edinburgh’s popular galleries, museums and artist-run spaces, alongside new public art commissions by established and emerging artists for an exciting programme of special events. The Museum of Childhood displays a world of automation. Starring clockwork characters. In our cabinet of wonders, see forty astonishing automata from the last two centuries. Meet a beautiful musician who has long outlived her creator and a magician who performs his hundred-year-old tricks. Edinburgh is known for its festivals. Most notably, the Fringe Festival. Every year millions of people come to the city throughout the month of August to experience the 70-year-old event. However, the fringe is not the only festival that draws a crowd to the city. Also taking place is the Book Festival and Military Tattoo in August, The Jazz and Blues Festival in July and the International Film Festival in June. Edinburgh has always been a city that can captivate the tourists who walk down its cobbled streets or peer up at the century-old architecture. The city has a feeling of magic, an air that makes you wonder about the past and gets you curious about the future. So, it does not come as a surprise to know that Edinburgh has been the inspiration for many stories both on the page and on the screen. To get you ready for the Edinburgh Internation Film Festival, here is a list of the films that use Edinburgh’s unique landscape, buildings and streets. Perhaps the most famous film ‘series’ based and filmed in Edinburgh. The film holds a special place in the hearts of Edinburgh residents as an almost claim to fame. When watching the iconic original film and the recent sequel, look out for the following places; Arthurs Seat, Regent Bridge, Old Town, Scottish Parliment, Forth Bridge and St Stephens Stockbridge. Based on the best-selling novel by Dan Brown. Robert Howard directs Tom Hanks and Audrey Tautou in this page-to-screen adaptions. The film does not heavily feature Edinburgh. However, it does feature the often overlooked Rosslyn Chapel. The Chapel has its mysteries outside of the movie. Beneath the floor of Rosslyn is a massive underground vault, of which was sealed in 1690 and has remained that way ever since. Of course, as you would expect, there has been a lot of speculation as to what, or who lies within the vault. Tom Hanks returns to Edinburgh in this mind-bending sci-fi film. This film is an ambitious one in which the story spans five centuries. It is a complicated film to explain, even after viewing you will find yourself confused, yet satisfied. However, if you watch it for just one reason and one reason only. Make said reason Edinburgh. The city is used as a beautiful backdrop to the 19th century period where one of the characters climbs the Scott Monument daily to clear his mind. Known as ‘McMamma’ Mia, Sunshine on Leith is a musical comedy that uses the songs of The Proclaimers, of ‘I’m Gonna Be (500 Miles)’ fame. This film is perhaps the most Scottish on this list. Scottish actors, accents, music, setting, clothing and spirit. It is about the characters Davy and Ally, who must relearn how to live in Edinburgh after serving in Afghanistan. It is a ‘Feel-Fabulous Film’ to which Edinburgh is the perfect location. Anne Hathaway and Jim Sturgess star in this love story about two people from different strokes of life. It is based on the famous novel of the same name, written by David Nicholls. 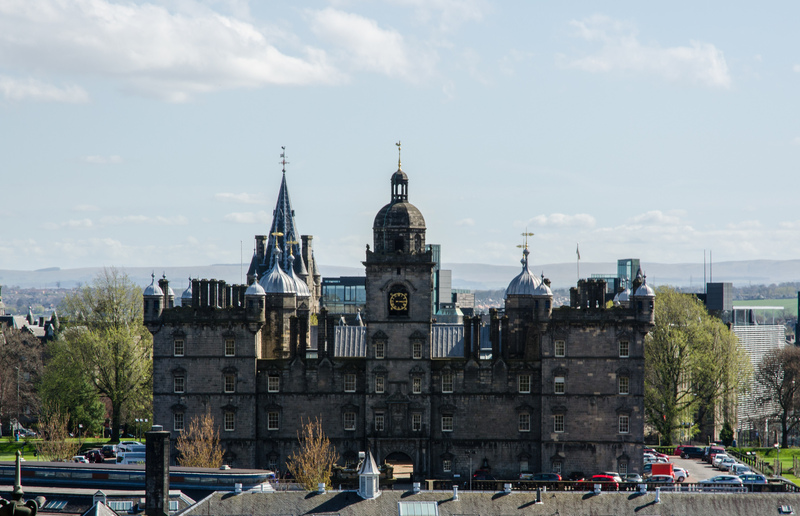 Edinburgh provides a lovely backdrop for the film, and you could argue that it even acts as a supporting character to the characters of Hathaway and Sturgess. A few adaptions of John Buchan’s novel have been made and set in Edinburgh. Most famously, however, is the film ‘The 39 Steps’ by the great Alfred Hitchcock. It is a universally praised film and has been named the 21st greatest British movie ever made, and in 2011 ranked it the second-best book-to-film adaptation of all time. This Oscar-winning historical drama about Scottish Olympic athlete, Eric Liddel. The film was released in 1981, but Edinburgh looks almost identical today as it does in the movie. The film follows Eric Liddel, a devout Christian who runs for God and thus refuses to compete on a Sunday and Harold Abrahams, an English Jew who runs to overcome prejudice. Colin Firth stars in this dramatic war film depicting the life of an Edinburgh-born Railway enthusiast turned POW. Edinburgh isn’t the movie’s main backdrop, no, that honour goes to Thailand, and it’s Burma Railway Line, also known as ‘Bridge of Death’. When Edinburgh is shown, you see the gorgeous views from Calton Hill (as pictured above) and of course, Waverley Railway Station. Anyone who was in Edinburgh throughout March/April 2017. You may have noticed Edinburgh become a huge film set. This was of course for the new film production of Marvel Studios billion dollar blockbuster film Avengers: Infinity War. Eagle-eyed fans may have spotted stars, Tom Holland (Spider-Man), Jeremy Renner (Hawkeye) and Elizabeth Olsen (Scarlett Witch) around the city. One photo that seemed to catch the attention of a lot was that of Tom Hollands Spider-Man atop the Castle. Perhaps preparing for an epic web-sling over the historic Old Town. Better yet, the film is not just being filmed in Edinburgh. It is going to be set there. The sets were littered with Scottish props and odes to Edinburgh. So, once the movie is released, it should see a huge boom in tourism to the city. While JK Rowling’s globally recognised stories about the young wizard Harry Potter were no set in Edinburgh and the films were not shot in the city. You can see when walking through the city, where she got the inspiration for her Wizarding World. Well, what’s left of it anyway. While April may be drawing to a close, there is still plenty to do in Edinburgh. Whether you’re in Edinburgh with a partner, family or even by yourself, this list of activities and events will be sure to give your something to do during your visit. ‘TradFest Dùn Èideann’ is a vibrant twelve-day showcase of Scotland’s thriving traditional arts. As 2017 is the year of World Heritage, there will be special events taking place. Celebrate the first signs of summer with this fiery reimagining of the ancient Celtic festival of Beltane. Everyone’s favourite kooky family are now on stage in this spectacular musical comedy as it makes its UK premiere in Edinburgh. Get up close and personal with our tree-swinging ancestors and discover all there is to know about the primate world at this family friendly event. April celebrates World Heritage Day. With World Heritage Status, discover how Edinburgh became the Athens of the North. Edinburgh is famous for its beauty. It is known around the world for its intricate architecture and unique buildings and streets. You just need to take on look at Edinburgh’s Old Town to figure out why tourists are attracted to the stunningly, well-kept buildings. However, an often overlooked attribute to Edinburgh’s beauty, are its many gardens. Princes Street Gardens is located in the centre of Edinburgh’s World Heritage Site, tucked between New Town and Old Town. It is listed in the Inventory of Gardens and Designed Landscapes in Scotland and has geological and botanical scientific interest. However, it hasn’t always been a beautiful public garden. No, you see, it has a dark past from when it was known as Nor’ Loch. Dr Neils Garden, or, Edinburgh’s Secret Garden as it is often referred to, is one of the most stunning gardens in Scotland today. It lays next to the lovely Duddingston Kirk at the foot of Arthurs Seat. You will spend hours admiring the care, dedication and imagination that comes with this garden. The Royal Botanic Garden Edinburgh is one of the finest botanic gardens in the world – and rightly so. The gardens offer its visitors peace and tranquillity as they immerse themselves in the 72-acres of stunning scenery. A visit to these gardens will surely be a treat and pleasure for all the family. But, it’s more than just unusual plants and nature. The Garden also offers fantastic views of the famous Edinburgh skyline, featuring sights such as Edinburgh Castle. You also don’t have to worry about getting a bus, car or tram to this beautiful garden as it is only 1 mile from the city centre and is a lovely walk. Dunbar’s Close on the Royal Mile in Edinburgh’s Old Town is a hidden gem. The garden has been laid out in the style and character of a 17th-century garden. Malleny Gardens is a hidden delight on the outskirts of Edinburgh. It plays host to a luscious 3-acre walled garden set in a landscape of woodland, with colourful herbaceous borders and collections of old roses. You will be able to surround yourself with clipped yew trees planted in the 17th Century along with delightfully scented flowers. Malleny Gardens is located on the outskirts of Edinburgh. So, if you wish to visit, you will need to arrange transport. If you’re staying at one of our hotels, we’ll be happy to help arrange this for you. Harry Potter Tour – J.K. Rowling’s Edinburgh Inspiration. Harry Potter may live between the spellbinding pages of J.K. Rowlings best-selling book series. However, walk around Edinburgh and you will soon feel like you too are walking in the same magical world. With all the unusual streets, wonderful buildings and other wizz-poppingly fantastic attributes. It is no wonder ‘Jo’ drew so much inspiration from the city. Here is a list of a few places that inspired the famous books. J.K. Rowling used to come to The Elephant House cafe to pen her books, she would sit at the book where she was treated to a spectacular view of Edinburgh Castle which as you can probably imagine is a great view if you want to draw inspiration of a magical world. Now, The Elephant Cafe is packed full of tourists wanting to soak in even just a drop of J.K. Rowlings life. To all you die hard fans. Yes, you can still sit in her table. If you want an idea of how many Harry Potter fans are drawn to this cafe – just look at the toilets. You probably already guessed which particular building J.K. Rowling used this magnificant building as inspiration. That’s right, Hogwarts was based on Sir George Heriot’s School (not of witchcraft and wizardry). In addition to taking inspiration from the schools grand architechture. J.K. Rowling also modelled the famous Hogwart’s house system on the one in place at George Heriot’s. The schools houses are Castle, Lauriston, Raeburn and Greyfriars which aren’t too dissimilar to Rowling’s own Ravenclaw, Slytherin, Gryffindor and Hufflepuff. It’s borderline theft. However, I don’t believe that George Heriot’s school has a sorting hat. No Harry Potter Tour would be complete without a visit to ‘He who shall not be named’. Just behind Hogwarts George Herriot’s School there is a famous graveyard called Greyfriars which houses many notable people including the famous dog who showed heartbreaking loyalty to it’s owner and also it houses the world most recorded poltergeist. However, some people who stroll through the site (as J.K. Rowling herself used to do) you will find the grave of none-other than Thomas Riddell. The dark lord himself. J.K. Rowling used to take walks around the site to perhaps clear her head or maybe she went with the purpose to find great names from deceased people. What is know for sure is that she drew direct inspiration from this mans grave. There’s a street just below the Elephant Cafe and Greyfriars Kirkyard called Victoria Street in Grassmarket. Which when you see it, it doesn’t take much imagination to picture the bizarre Diagon alley. With it’s cobbled windy street and tall ornate buildings it’s no wonder J.K. Rowling decided to create a magical version of this street in her novels. AHA HA HA Jokes & Novelties lays at the foot of the street which perhaps played muse to the Weasley’s Wizard Wheezes. The shops actually used to have a sign in it’s window telling tourists that it wasn’t a real life version of the shop. Now as a hotel company ourselves, we don’t like to advertise other hotels. However, on this occassion it seems too crucial not to as it is the end of our Harry Potter Tour, and the end of Harry Potter itself. In January 2007, J.K. Rowling checked herself into the Balmoral Hotel room 552 to be exact. It was in that room that she finished writing the famed Harry Potter series. Rumor has it that upon completion. She popped open a fizz-wizz bottle of champagne and enjoyed it (as you would) and finally she picked up a black marker pen and wrote ‘J.K. Rowling finished writing Harry Potter and the Deathly Hallows in this room (552) on 11th Jan 2007.’ on a marble bust. As a token of honor to the author and her time spent in their suite. The Balmoral Hotel renamed the room the ‘J.K. Rowling suite.’ If you happen to be a particularly wealthy fan. You can stay in the room which has been kept in exactly the same condition as she left it, they have also added a brass owl door knocker. However, I think the bust is enclosed within a glass case now. It will cost you £1,415 per night if you want to stay here. If you want a view just as nice as the one J.K. Rowling enjoyed and also cheaper then stay at the Old Waverly Hotel where you can stay in a viewtiful room. Perhaps you can capture some of the same magic she did from this lovely city. book now. If you have spare time and want to add a little extra magic to your Harry Potter Tour then here are some bonus thing to see. J.K. Rowling has been immortalised in Edinburgh’s City Chambers. Her name will obviously never be forgotten as it is written on the cover of billions of books. But now she has some golden hand prints too. J.K. Rowling became the second recipient of the Edinburgh Award in 2008. The award is given to Edinburghers and the winners have their hand prints installed in the City Chambers quadrangle. While writing her famed series, J.K. Rowling attended the prestigious Edinburgh University. Right next to the university campus is a street named Potterrow during the 16th/17th century it was used for pottery stalls in the old town of Edinburgh. As a student, J.K. Rowling would have been well acquainted with the street, which no doubt served as an inspiration for the naming of her famous protagonist. THIS EDINBURGH WALKING GUIDE PUTS THE KING INTO WALKING. Our Edinburgh walking guide will ensure you make the most of your visit. Edinburgh is one of the best cities to explore by foot. You’ll discover magic and get a fright. From little local cafes and underground bars to hidden gardens and historic graveyards. The hidden gems of Edinburgh are best explored by walking. One of our favourite walks is along Queensferry Street into the West End of Edinburgh, taking around 15 minutes the walk explores some of the best hidden, undiscovered parts of Edinburgh and leads you right into the heart of the city, ending with spectacular views of Edinburgh castle and perhaps a walk through St Cuthbert’s churchyard. After a fresh, expertly prepared breakfast at Shackleton’s Bar & Brasserie we suggest checking out some of these key points as you make your way into the heart of Edinburgh City. To start the Edinburgh walking guide we take you to by far one of the best hidden gems in Edinburgh, Dean Village and garden. You will find them located just under Dean Bridge on the stroll in to West End. Take a slight detour and you’ll feel as if you’ve stepped back into Victorian Edinburgh. The warren of ancient cobbled streets create a sleepy yet beautiful atmosphere. Wandering through Dean Village and along the Water of Leith walkway you’ll meet an array of wildlife, from families of ducks to heron and enjoy the truly magical atmosphere of ancient, undiscovered Edinburgh. Assuming you’ve stayed at one of our fantastic hotels you will have already enjoyed a delicious breakfast. Now it’s time for a well-deserved mid-morning pastry! The delightfully Swedish Soderberg Bakery has a few venues around Edinburgh, though the charm of their West End branch is undeniable. Slightly smaller than some of their other locations the West End Soderberg is warm, intimate and perfect for that mid-morning baked treat! Their specialty coffee comes from Johan & Nystrom whose Stockholm Café was named by The Telegraph as one of the best in the world. We recommend their delicious cinnamon and cardamom buns, or if you’re visiting in the afternoon take home one of their freshly prepared sour dough loaves, or fresh soup or salad for dinner. At the very end of Princes Street, hidden among trees just underneath the castle. Lays perhaps one of the most beautiful Churchyards in Edinburgh. St Cuthbert’s Church was built in 1892, however there is evidence of at least 6 earlier churches on the grounds. The rich history provided by the grounds makes it a perfect place to experience the peaceful, tranquil and eerie atmosphere of Edinburgh. Additionally, it is a great place to start your walk along the beautiful Princes Street Gardens. No Edinburgh walking guide would be complete without Princes Street Gardens. These luscious green gardens provide a stunning tranquil atmosphere. The gardens also provide some of the most spectacular views of Edinburgh Castle. It’s hard to imagine that Princes Street Gardens were once a place of witch trials and waste dumping. Luckily for us there is little trace of the areas dark history. Now the gardens are a favourite for tourists and locals. A place to relax and take in the vibrant city atmosphere. Previously to it’s renaming to Princes Street Gardens, the site was names Nor Loch. Read about it’s less than green history here. In conclusion, Edinburgh is a city best explored by foot. With hidden gardens, cobbled streets, ancient alleyways and beautiful churches just waiting to be found. Edinburgh’s rich history can only truly be discovered by meandering the streets. Where you will start uncovering your own secret gems. Our advice is to read and re-read this Edinburgh walking guide and make sure you put aside a little time during your stay to walk the wonderful, historic streets of Edinburgh.